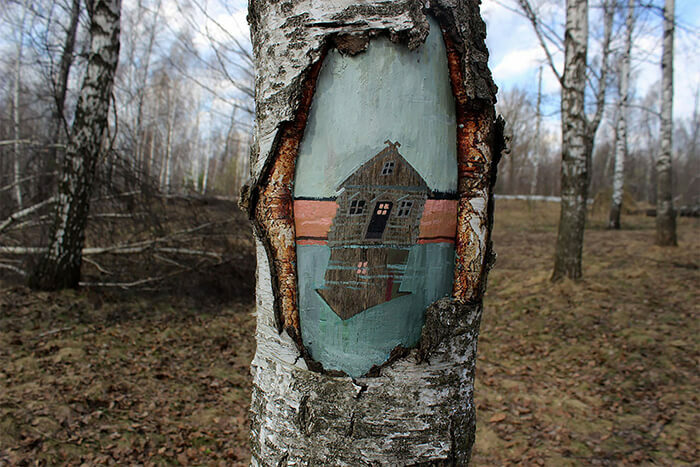 Inspired by the surrounding landscapes, Russian Painter Eugeniya Dudnikova started the project entitled “Painting on Trees“. 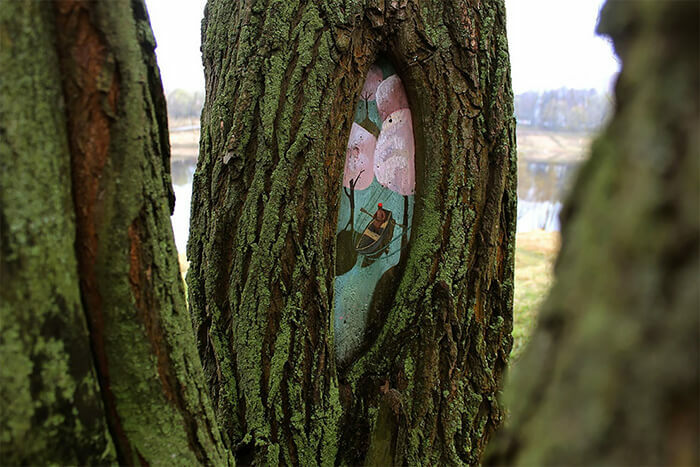 Mixing street art and painting, Dudnikova dpaints beautifully intricate artwork on the small bark-less spaces found in tree trunks in the middle of parks and forests. 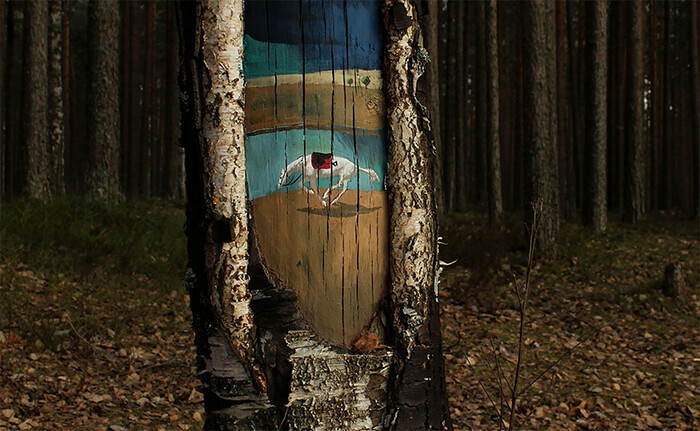 The themes of painting are poured into the landscape and the color range around the tree and are augmented reality at the time of drawing and photographing. 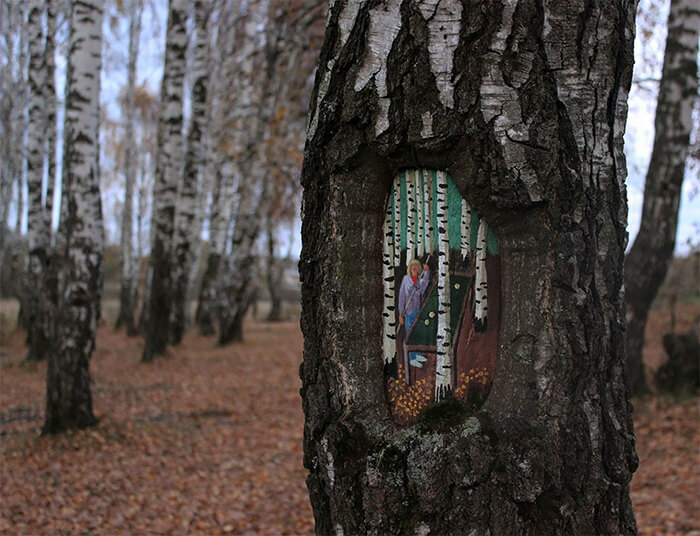 Painting on wood is not new to Russian artists. In fact, it can be traced way back in 1892 when the first Matryoshka was created. And since then, it has become the symbol of Russia. If you are curious about how Matryoshka dolls look like, you can check them out at Nesting Dolls. 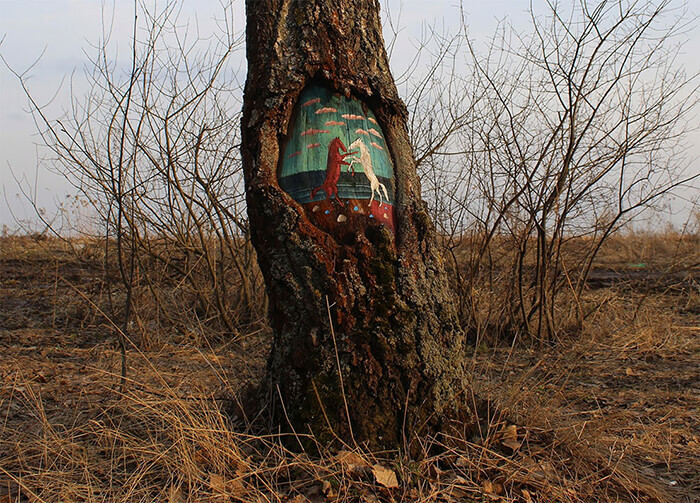 The subjects of these tree painting varies, including depictions of animals, people, and landscapes. They all painted in muted pastel tones that, along with the serene surroundings, give a melancholy feel to the artwork. 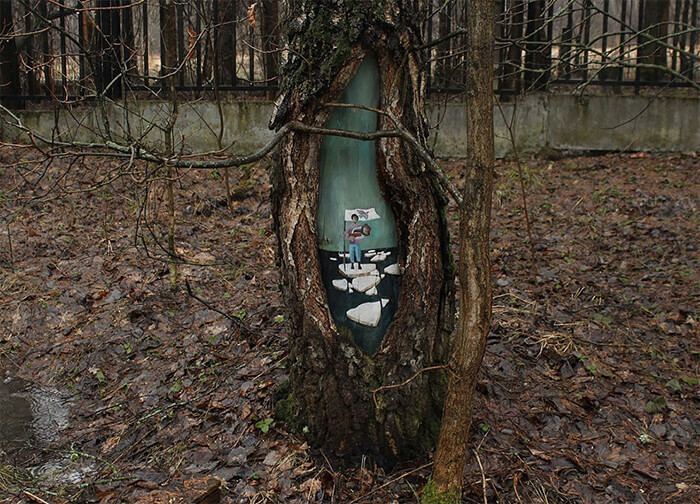 So far, Dudnikova has completed 7 pieces while the specific location of the artist’s work is still unknown. 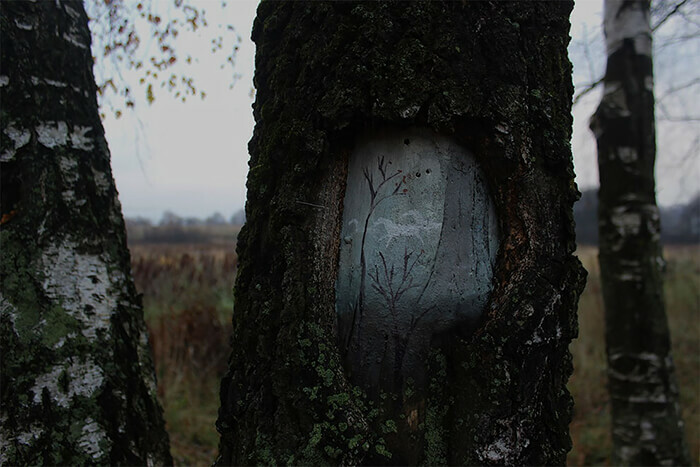 For now, we can only enjoy the photos taken by the artist and if you are luck enough to find the actual work, don’t forget to share the location.